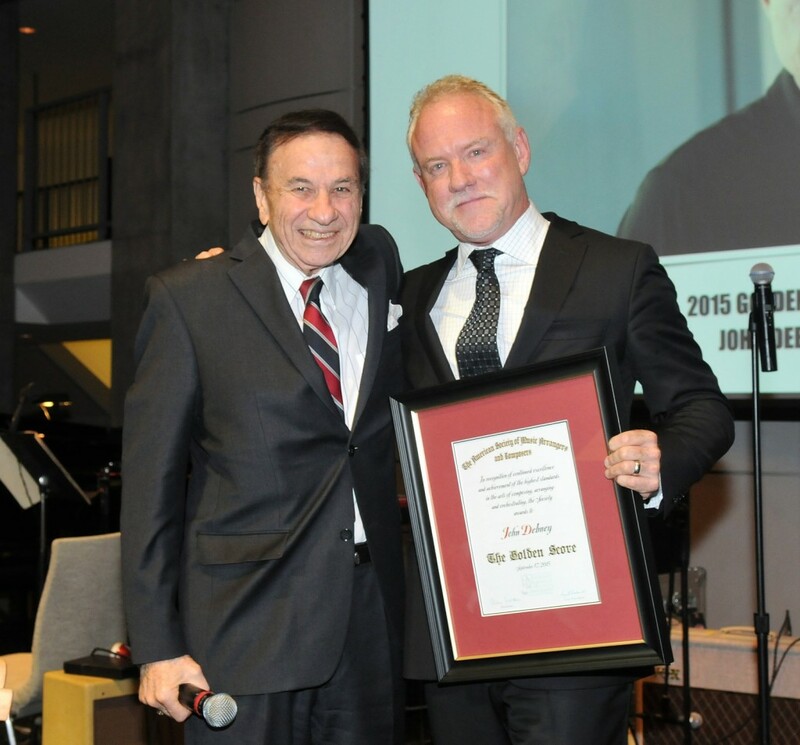 Last night John was deeply honored to receive the Golden Score award from ASMAC (the American Society of Music Arrangers and Composers) which was presented to him by legendary songwriter/composer Richard Sherman. You can read an article about John receiving this prestigious honor in the Hollywood Reporter. After the awards ceremony (which included a live string quartet performance of a new Kevin Kaska-arranged medley of John’s music), John brought Paramount Pictures’ President of Music Randy Spendlove as well as other musicians up on stage to bring down the house with a few rock songs!